Our staff are among the most talented in the industry. We offer an amazing atmosphere and top notch services. 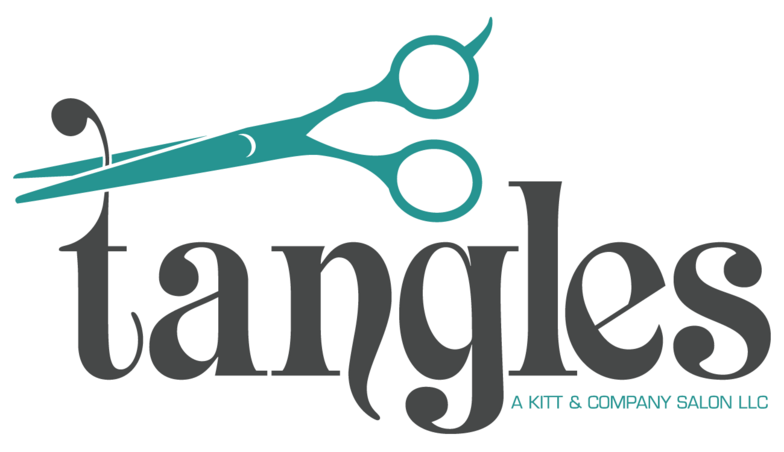 At Tangles we pride ourselves on being our own bosses, coming together to create an inviting, full-service salon. It would be our pleasure to put our extensive experience to work for you. Each professional books her own appointments. Below you will find information for all staff members. Jade is a Sheridan High School 2004 graduate. She attended Blanco Blanco Cosmetology School in Billings Montana. She has been a licensed cosmetologist since 2008. She is experienced in using several color lines including Color Syn, Wella, Paul Mitchell, Redken, Joico and Kenra. She has training in hair cutting, coloring, extensions, updos, perms, makeup, facials, waxing, nails and spray tanning. She is able to do I-Link and tape in extensions but she also does the sew in weft extensions. Jade can give you the look you want whether it be classic, funky or the lastest trend. She also will do wedding parties, prom updos, ombres or any other special hair needs. T'Leye is a graduate from The Academy of Nails, Skin, and Hair in Billings, Montana. She has been a nail technician for seven years and loves what she does. She loves to try new things when it comes to nails and her specialty is acrylics. Give T'Leye a call today and schedule your next nail appointment! ​Kaylee graduated from True Colors . She is from a very country town. Her passion is to make people inspired and welcome when they sit in her chair. She is always excited to get the opportunity to try new things. She is a colorist and stylist, she will also be doing make up, eye lash extensions, facials, manicures and pedicures. She can give you a total makeover. She is open for walk ins and we are glad she joined our team. She has been a great addition to Tangles. Tanya is a Sheridan native. She graduated from Big Horn High School in 2000. She attended True Colors Cosmetology school and graduated n 2011. She was the manager at Great Clips for several years so she specializes in men's and kid's haircuts. She uses the kenra color line. She loves to try out new haircuts or color techniques. Her bubbly personality has been a good addition to our team. Paula graduated from True Colors Cosmetology school in May 2016. She started at Tangles right after graduation. She specializes in the Lanza color line. She is a full service cosmetologist and is a top stylist for special occasion updos. Paula has had 2 brides featured in the Rocky Mountain Bride Magazine. She also is trained in costume makeup. She has worked in salons for 8 years before going to Cosmetology school so she has extensive on the job insight. We are very impressed here at Tangles with her talent. 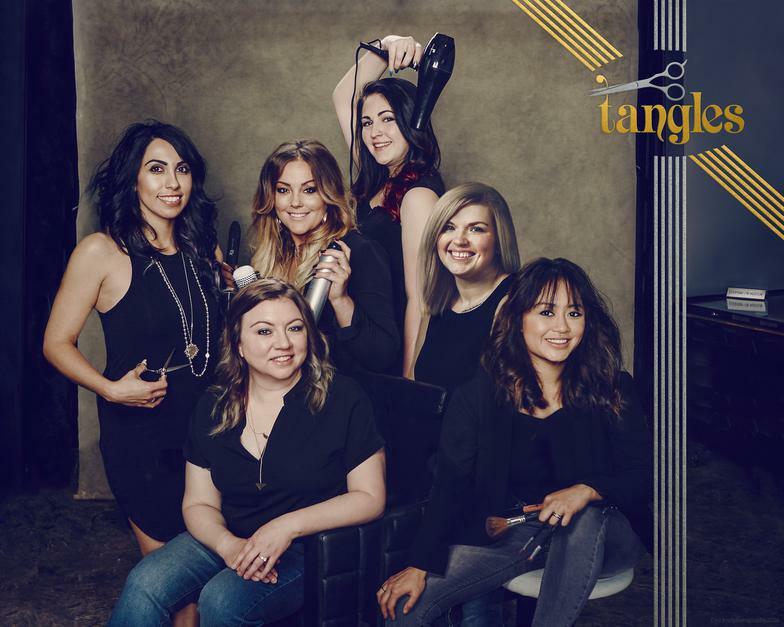 TANGLES SALON SPECIALISTS ARE ABLE TO FULFILL ALL YOUR BEAUTY NEEDS.